Tortured heroes, forbidden romances and cartoonish villains are nothing new. There is a standard formula by which such stories operate by now and there is an ever faithful audience for them. This does not mean such stories need be repetitive, however, nor does it mean they need to be unentertaining. 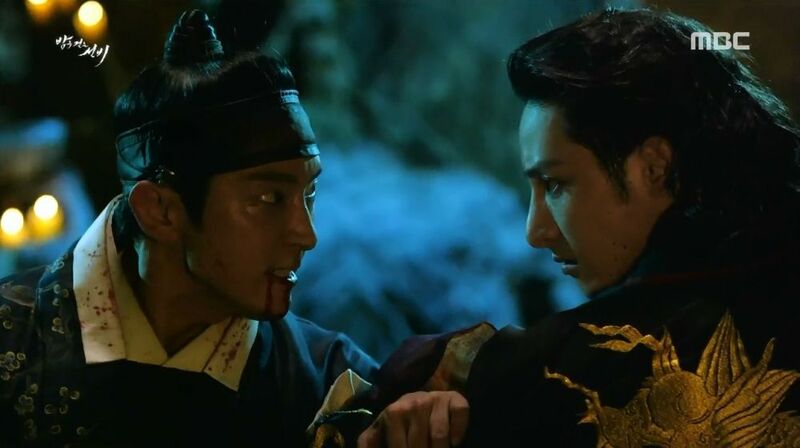 "Scholar Who Walks the Night" does not reach its end unscathed, but let us look into its efforts until that point. Jo Yang-seon (Lee Yoo-bi) is a woman who disguises herself as a man in order to sell books and help her family. One day she meets Kim Seong-yeol (Lee Joon-ki), a vampire looking for an important book. 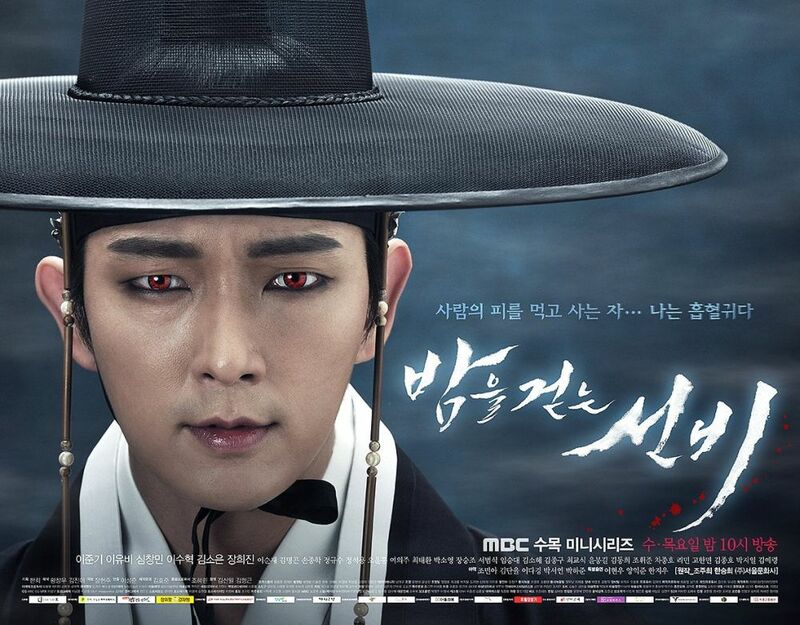 Gwi (Lee Soo-hyeok) is a merciless vampire who has control of the palace and kills humans at will. Seong-yeol believes that the book he needs from Yang-seon can stop Gwi and end his reign and long history of murder and abuse. Full Article: [HanCinema's Drama Review] "Scholar Who Walks the Night". When "Imaginary Cat" was announced, the idea behind it seemed pretty straightforward. 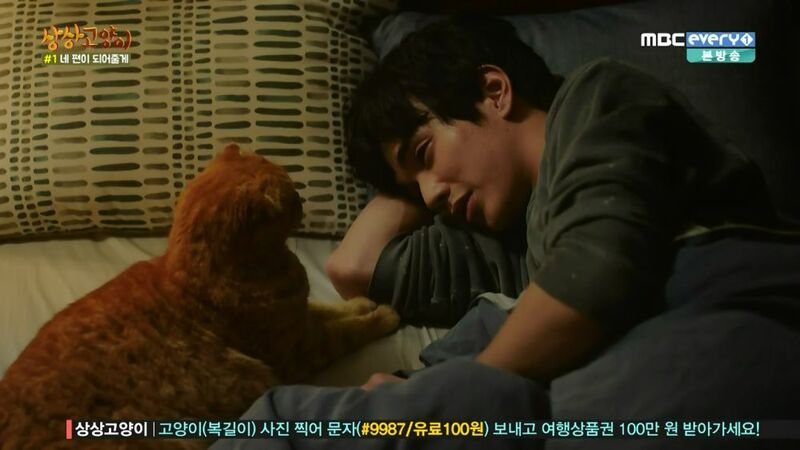 There is a cute cat and there is a cute actor and they would be cute for audiences together for some episodes. This is not the kind of drama to really raise one's expectations over. It is therefore a surprise, a pleasant one, that the series has quite a bit more to it than simple fanservice. Those who are looking for the fanservice alone will not be disappointed. 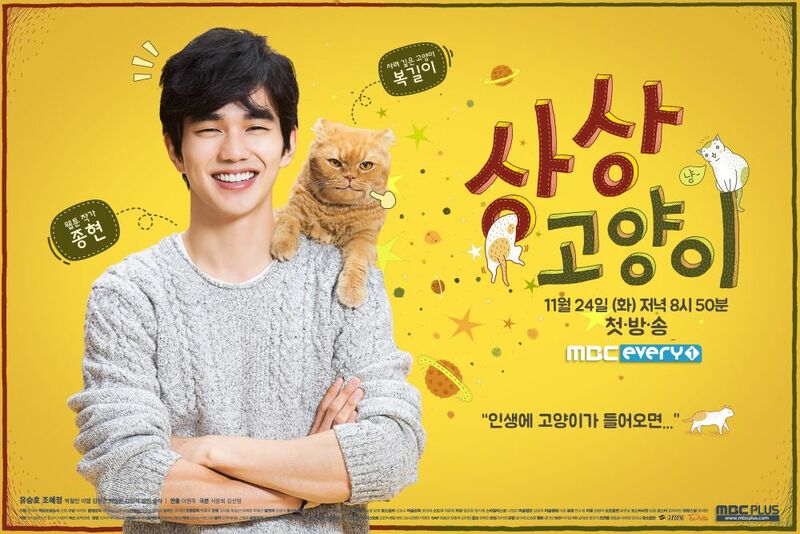 The drama has some humor, a lot of cute cat and human antics, copious amounts of cat petting and Yoo Seung-ho being cute. However, the series actually handles some serious topics through its characters, human and feline. Loss, abandonment, fear, trauma, insecurity, hope and more are all slowly being explored and revealed as part of these people's and cats' lives. Full Article: [HanCinema's Drama First Look] "Imaginary Cat". 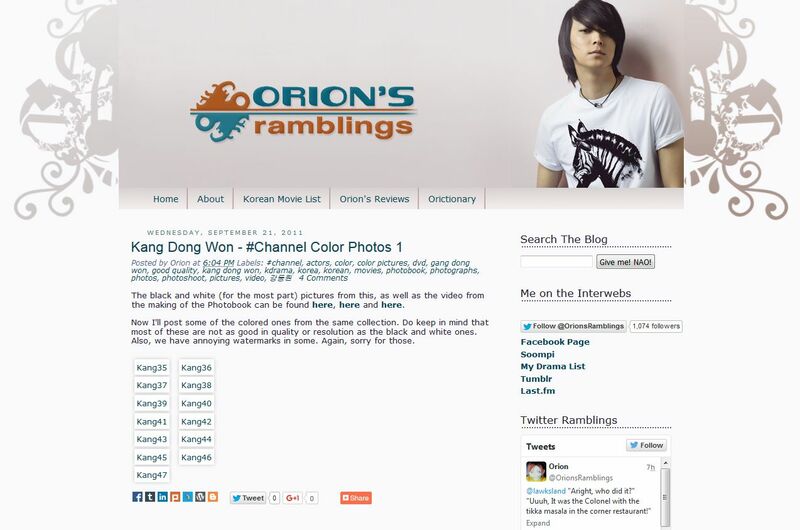 Handsome male Korean stars are undoubtedly among the favorite things of the Korean entertainment fandom. Cats rule the internet and everything else, which is a scientifically proven fact. Or well, it should be, because they do. MBC every1 brings the two together and there is little that can really go wrong with "Imaginary Cat". Hyeon Jong-hyeon (Yoo Seung-ho) is a webtoon artist who lives with cat Bok-gil (Beetle). The two experience the world of cats and humans through each other's experiences and heal through their life together. Full Article: [HanCinema's Drama Preview] "Imaginary Cat". The concept of realism is often a difficult one to define, but also something which the receiving audience of fiction has different ideas on from person to person. Korean drama is mostly homogeneous in its output and served audience and realism is sacrificed for the sake of idealistic solutions and easy to follow plots. Even so, series that tackle ugly realities for what they are exist. Some even do it wonderfully. So far, "Awl" manages both. To address the elephant in the room, "Awl" is a work drama like "Incomplete Life", but has very little to do with it on any deeper level. Comparisons are made, naturally so, but the two dramas quickly diverge. "Incomplete Life" is about finding potential and courage in oneself, finding one's place and forming bonds, whereas "Awl" is more of a revenge story. Or rather, a story of justice and reclaiming the rights and dignity taken from people. Full Article: [HanCinema's Drama Preview] "Awl". After the rise of cable channel dramas in South Korean television output, the changes are visible. From the very foundations of how production works to the topics explored, everything is changing and it seems to be changing quite fast. Along with new concepts, different approaches emerge to familiar stories and genres. "Bubble Gum" plays out like a typical romantic comedy, but at the same time handles its characters and story very differently to most and so far much more intimately. Most romantic dramas and dramas in general rely on events, misunderstandings and tangible outside obstacles to build their couples and plot. The inner world of the characters is rarely important past their emotions, and their behaviors serve as means to make things happen, rather than as material to explore. "Bubble Gum" instead looks into those self-made obstacles and opportunities of human beings, which keep us struggling to live and love and which move us. Full Article: [HanCinema's Drama First Look] "Bubble Gum". So you may notice that all the images in my posts between 2008 and somewhere in spring 2013 are gone. I thought ImageShack had become bad enough, but they got worse. If you want the news about the technical issue without the story, go to the end of this post. About two weeks ago, users received an email stating we have said two weeks to either upgrade our account to a paid subscription or then lose our ability to have images from our account linked to sites or blogs. In other words, arm-twisting, since most folks cannot simply go and replace every image within that timeframe. ImageShack was good once. But their quality has dropped, platform keeps changing and above all, their customer "service" is absolutely unacceptable. I paid them once, long ago, because I did not have the time to deal with their problems. Not again. I am downloading all my images and I have saved every post in this blog as a file (so I can see what goes where). I will slowly start replacing all the images, so you can expect the posts to all look normal again within the next few months. There is a slight uncertainty about some, since ImageShack lied yet again. They said we had up until the 31st of October, but they clearly want to rush their actions, so forget about accuracy. It is 10:41am as I write this and the images are already gone from my blog. So the posts in a few months in 2011 will have to be a bit of a guess game/url matching race. I will do those first. I have been a user of this service since 2008. I tried their premium, was patient through crashes, missing images, time limit policies, mass data corruption due to attacks on their database and other such things. I tolerated their approach to customer (dis)satisfaction long enough. Nothing will make me happier than to delete my account and never deal with this place again. Whoever runs it has probably had a rough time, but their way of handling things will eventually bring the company down. I for one will not miss it, because it has not been up to standard for a very long time. TL;DR: My images in posts between these years will be gone for a while and slowly reappear within the next few months. Thank you for your patience. 'Makjang' is a term which describes the use of highly unrealistic, sensationalist elements in order to make a drama packed and attention-grabbing. Since this often means delivering cheap thrills and bad writing, it is a phrase frequently used in a derogatory manner. Whatever one's opinion on the value of 'makjang' dramas, 'Yong Pal' is a series which quickly becomes one very messy work in its writing. At the same time, it does what 'makjang' is about well. Kim Tae-hyeon (Joo Won) is a brilliant doctor and surgeon who resorts to illegal field calls in order to pay for his sister's treatment. He eventually finds himself working at the VIP floor of his hospital, where a very special client is kept. The client, Han Yeo-jin (KIm Tae-hee) is a conglomerate heiress whose brother is keeping her comatose in order to control their company in her place. 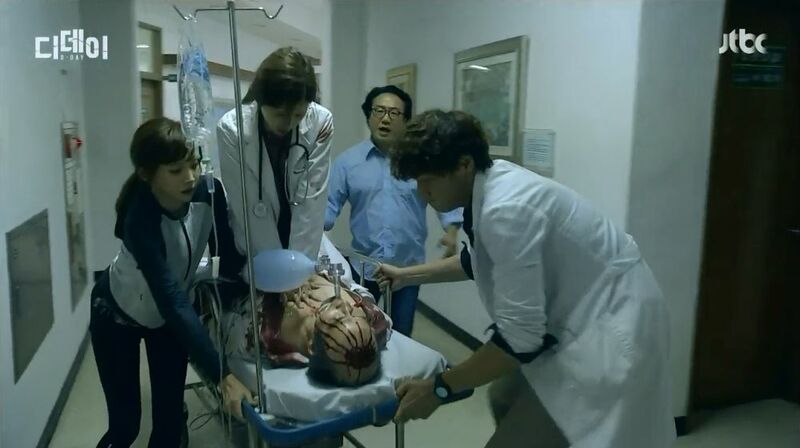 Yeo-jin reaches out to Tae-hyeon for help in her revenge. Full Article: [HanCinema's Drama Review] "Yong Pal". Trying genres outside of the historical, family, romance and melodrama realm is never an easy challenge in Korean drama. New audience does not simply appear out of nowhere, it has to be convinced. Pre-production as a system has also been an unfavorable one for ratings, with viewers unable to control a show's development. Yet series like 'Last' are eye-opening. 'Last' is not only good, it also reveals the flaws in the system and potential in the industry##. Jang Tae-ho (Yoon Kye-sang) is a man playing the stocks for clients. 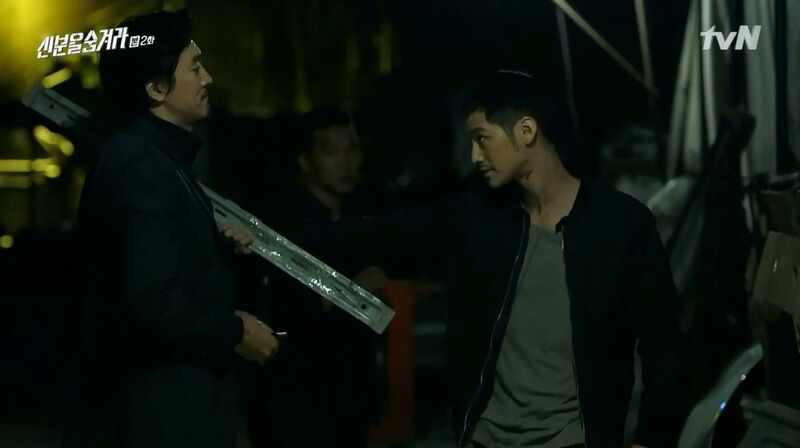 After he loses a great amount of money for a gangster and his partner dies as a result, Tae-ho ends up on the run and homeless. He finds himself in the world of Seoul's underground, which is run by Kwak Heung-sam (Lee Beom-soo), a man who profits at the expense of the poor. 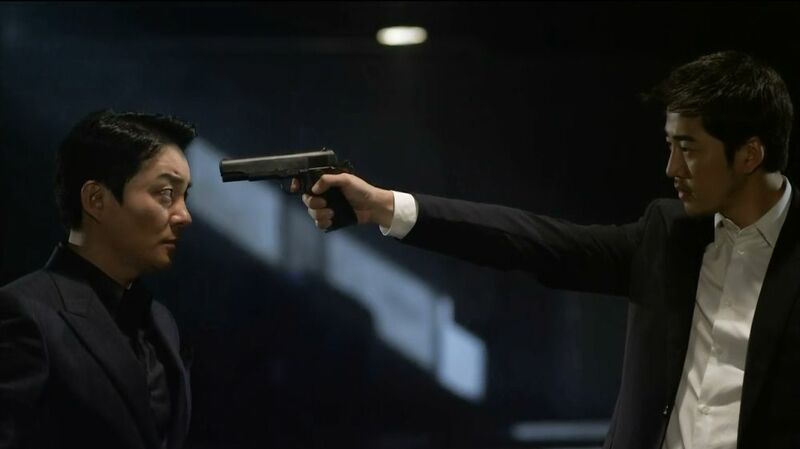 Tae-ho decides to take his life back and reach this secret organization's top. Full Article: [HanCinema's Drama Review] "Last". "Healing drama" is a term which has been used often, but has sadly not produced great results. While there are many efforts to balance romance and lightness with emotional burdens and troubles, few have been successful. Even so, 'Bubblegum' aims to be a fairytale for adults and a healing drama about people finding comfort in one another. Term association aside, things are looking good for the series. Park Ri-hwan (Lee Dong-wook) is an Eastern medicine doctor and Kim Haeng-ah (Jeong Ryeo-won) a radio DJ. The two are good friends, but like everyone else, they struggle with their own personal problems. The drama follows them and other characters as they try to handle their issues and as the relationships between them change. Full Article: [HanCinema's Drama Preview] "Bubble Gum". Arriving soon to JTBC and adding yet another genre to the channel's output is "Awl". "Awl" is so far marketed as a type of office drama and while it has not generated much international buzz, it seems there is some good talent and a popular work behind it with a faithful fan following. Whether this almost obscure series will gain more attention after it stars airing remains to be seen. Lee Soo-jin (Ji Hyeon-woo) is one of the managers in a supermarket. When the company decides to let many employees go, Soo-jin leads the union workers in their fight against their unfair treatment. Goo Go-sin (Ahn Nae-sang) acts as a counselor for the workers and aids them in their efforts. A good mystery satisfies the basic human feature of curiosity. Having a puzzle that needs solving is something which appeals to many, but not everyone is in it just for the fun of solving it. For a lot of people, there is need for extra motivation or easily digestible drama, rather than mystery. 'The Village: Achiara's Secret' may not have captivated as many as its predecessor, "Yong Pal" did, but its story will interest those who give it their time. So far, the series is pretty much a clear suspense and mystery show. The numerous characters portrayed all have their secrets and emotional scars, which means that there are several mysteries to keep one's thirst for the truth fueled. The drama has very few elements of horror and while it does hint at certain supernatural occurrences, it cannot be called a horror work. For the most part, its story is very grounded in reality. Full Article: [HanCinema's Drama First Look] "The Village: Achiara's Secret". Disaster stories in Korean cinema and drama do not have much of a presence at all. That is, aside from a few action films, and very few dramas slightly touching upon disaster, but not going all the way. 'D-Day' is a very ambitious production in general, but especially for Korean drama. With pre-production on its side and so far focusing on a near real-time method of progression, it has made one impactful start. While many dramas nowadays opt for a mixed experience, offering a little bit of everything and essentially being hybrids of genres, this one is pretty straightforward. Four episodes in, the style is consistent and type of story easy to categorize. There is no real romantic focus here, at least for now and other character relationships are complicated, but do not devolve into melodramatic fluff. The medical aspect is a big part of things, but 'D-Day' is essentially a human drama. Full Article: [HanCinema's Drama First Look] "D-Day". The mystery thriller genre is not one we see often outside of cable television in Korean drama. This is for good reason, as will be explained shortly. More and more shows are injecting mystery and suspense into their stories, however, and this means that the genre is evolving and hopefully improving. "The Village: Achiara's Secret" has a very interesting premise and could be a great success with some proper care. Han So-yoon (Moon Geun-young) lost her entire family long ago. She one day finds a letter telling her that the secret to their death can be found in a village called Achiara. Just as So-yoon becomes a teacher in the crime-free, peaceful village, a body is discovered. This event sparks the escalating revelation of the village's ugly secrets. Full Article: [HanCinema's Drama Preview] "The Village: Achiara's Secret". Korean drama is known for strong emotions and highly dramatic situations. At the same time, the topics explored are often quite limited and the approach to them quite repetitive. 'Midnight Diner' is an odd show when looked at as a Korean drama. Perhaps staying closer to its story's Japanese origins, it is more understated and slow paced. This makes it an interesting mix of two very different types of storytelling. Does the mix work? Mostly very well. 'Midnight Diner' follows the environment and visitors of a very unique restaurant. The diner is only open between midnight and 7am. Furthermore, there is no set menu. Its mysterious owner and chef, called simply 'Master' cooks any dish the client asks for and which is doable. Along with some regulars, the restaurant gets visited by people with all sorts of worries and life situations. Each story explores different social and personal issues through good food and good company. Full Article: [HanCinema's Drama Review] "Midnight Diner". Having a little gimmick to spice things up for the romance is quite common for romantic comedy drama. Be it time travel, serial killers or ghosts, they have been done before. As the word reveals, however, those elements are mostly used to frame the romance, rather than to define its characters or enable them to grow. 'Oh My Ghostess' does offer a fluffy romance, but also has some messages to convey. Na Bong-seon (Park Bo-yeong) is a very quiet, shy young woman. The reason for her introvert nature is that she can see ghosts. Always battling with stress and insomnia, she works hard at her job, hoping to reach her dream profession of being a chef. Kang Seon-woo (Jo Jeong-seok) is her star chef employer and also someone Bong-seon has a crush on. One day, virgin ghost Soon-ae (Kim Seul-gi-I) decides to posses her and relieve her grudge by sleeping with a man, complicating Bong-seon's life. Full Article: [HanCinema's Drama Review] "Oh My Ghostess". South Korea does not have many disaster films, aside from works like "Haeundae" or "The Tower". The genre is usually expensive and perhaps not as appealing to local audiences as bigger productions from abroad. For drama, this genre has only been slightly touched upon in the past with series like 'At The End Of The World', which handled an infection, rather than a disastrous event. JTBC is taking another shot at this, with Korea's first true disaster drama, "D-Day". 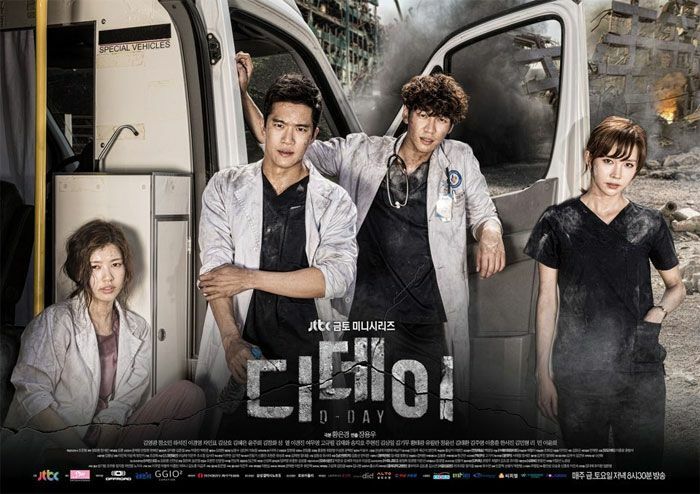 "D-Day" is about the operation of DMAT (Disaster Medical Assistance Team) members and general rescue crew after a devastating earthquake hits Seoul. Full Article: [HanCinema's Drama Preview] "D-Day". Writer sisters Hong Jeong-eun and Hong Mi-ran are behind some very beloved romantic comedy shows such as "My Girl", "You're Beautiful", 'The Greatest Love' and 'Master's Sun'. Offering a unique writing style and often colorful, fun characters, their shows have had a unique identity and approach. While "Warm and Cozy" attempts to recapture their more old school romance works, however, it loses some of what makes those older works good. Baek Geon-woo (Yoo Yeon-seok) is the younger, wilder brother in a chaebol family. 'Wild' in this case being that he moves to Jeju island and opens up a restaurant in hopes his unrequited love will finally accept him. When Lee Jeong-joo's (Kang So-ra) brother uses all her savings to buy an old building in Jeju, she decides to make the best of it. She reunites with Geon Woo, whom she had met through a misunderstanding in the past and ends up working in his restaurant. Full Article: [HanCinema's Drama Review] "Warm and Cozy". It is a fact that entertainment is not kind to women past a certain age. In film and television specifically, while being an older man still lands one opportunities, older women are given limited options. Ageism in entertainment is nothing new and most actresses adapt and manage with what is available. They portray mothers, grandmothers and other such roles. Lee Yong-nyeo, however, is someone who has found a unique place in these industries. Lee was late to join the acting industry, having made her debut in 1993 at age 37. Since then, she has mostly done supporting and guest roles in film and drama. Movie fans might best remember her in roles such as Yeong-goon's awkward mother in 'I'm a Cyborg, But That's OK', while many drama fans will know her as Lady Go in 'Master's Sun'. Chances are, you have seen her in many of her dozens of works. Full Article: [HanCinema's Actor Spotlight] Lee Yong-nyeo. Good action shows can be hard to come by in Korean drama, especially outside of the crime-oriented channel OCN. Its sister channel, tvN is more known for its romantic comedies and other lighter offerings, but has occasionally taken a shot at darker works. 'Hidden Identity' is tvN's latest attempt at a sleek action show, offering a unique blend of actors and crime-fighting suspense. While not brilliant, it is quite a nice addition to the action genre. The series follows an investigative team operating largely in secret and not always within the law. Cha Geon-woo (Kim Beom), their latest recruit is out for revenge over the death of his girlfriend; a death related to the latest case the team is handling. Jang Moo-won (Park Seong-woong) is the team's mysterious, but capable leader and someone who knows of Geon-woo's past. The team finds itself as the only group capable of capturing a dangerous individual called the Ghost. Full Article: [HanCinema's Drama Review] "Hidden Identity". A big part of what often keeps dramas or certain concepts in dramas superficial is the refusal to get real and get dirty. From romance to violence, everything is too black and white and too idealistic. Style and substance are not mutually exclusive, which is frequently overlooked in fiction and especially genres like action. 'My Beautiful Bride' is a series which presents a grand romance in a suspense show, successfully combining genres others have failed to. Kim Do-hyeong (Kim Moo-yeol) and Yoon Joo-yeong (Ko Sung-hee) are living a happy life together. That is until Joo-yeong's past catches up with her and she disappears. Do-hyeong finds himself going deeper and deeper into a dark world, as he will stop at nothing to find Joo-yeong. Cha Yoon-mi (Lee Si-yeong) is a detective who is connected to Joo-yeong and her illegal past. 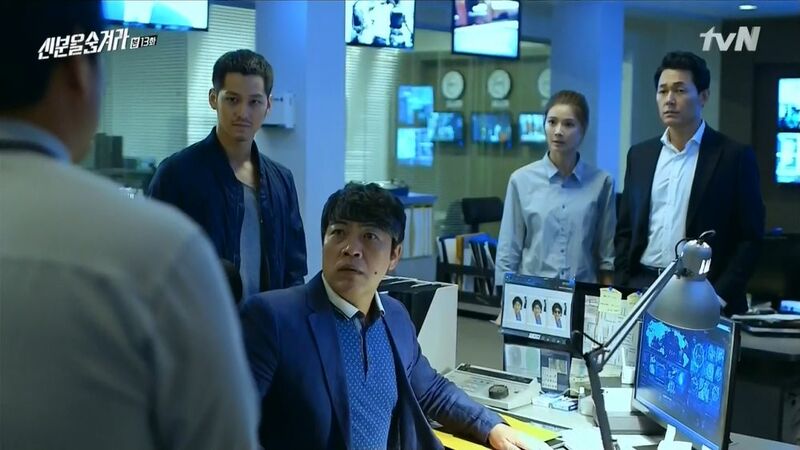 She handles Joo-yeong's disappearance case, which reveals the organization they were both connected to has resurfaced. Full Article: [HanCinema's Drama Review] "My Beautiful Bride". Drama fans who follow the domestic ratings for shows will know that the numbers have not been doing well in the last few years. Because of this slump, 'Yong Pal' has been quite the pleasant surprise, with ratings most shows of its kind can only dream of nowadays. There is good reason for those ratings. The series has appealing drama and an intriguing story. Even so, there are issues which will cheapen it if continued. With the promotional material being quite confusing in tone, some potential future viewers might be wondering what type of show this is. 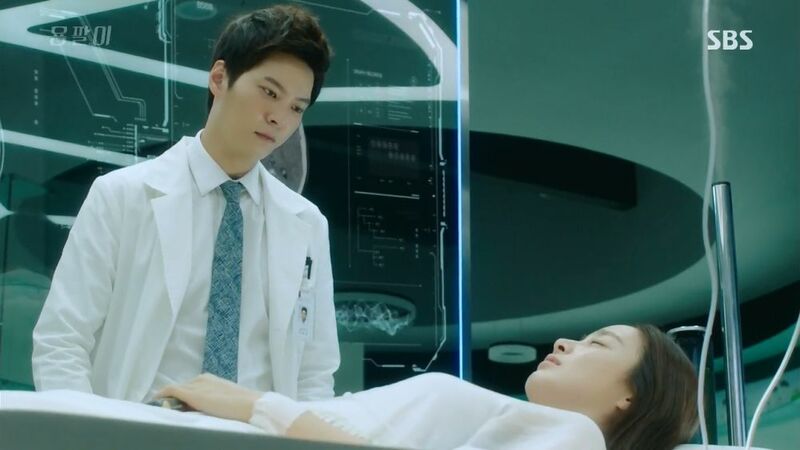 While there is a medical theme and some action, 'Yong Pal' is still within the melodrama genre. We have an anti-hero whose hard life has forced him to act selfishly and put himself through danger for money. We also have a comatose heiress who is after revenge. The melodramatic premise and its potential are solid here. Full Article: [HanCinema's Drama First Look] "Yong Pal". A lot of dramas include action and crime, but there is usually more to it than the world of crime itself. Revenge, justice, survival and other manner of more grand elements are the goal of those stories. 'Last' is an odd show in the sense that it approaches new topics and from a slightly different angle than what most shows go for. What has been quite a nice start can now hopefully evolve and succeed. At a time when each given series seems to require several words to describe its often very different genres, this one comes in as a simple action crime show. There are subplots and each character clearly has their story, but the basic premise is simple. An arrogant, but skilled man makes a mistake, loses everything and then makes a probably bigger mistake to take it all back. There are fights, a lot of fights, gratuitous machismo and violence. Full Article: [HanCinema's Drama First Look] "Last". A lot of people like a good revenge plot. Others like tales about justice and the heroes who deliver it. Seeing good win against bad is a basic feature of most stories and easy to make exciting as a concept. A series like 'Masked Prosecutor' also belongs in a medium which is good with revenge stories, that being Korean drama. Unfortunately, the show manages to waste its opportunity with bad execution and unexplored intriguing topics. 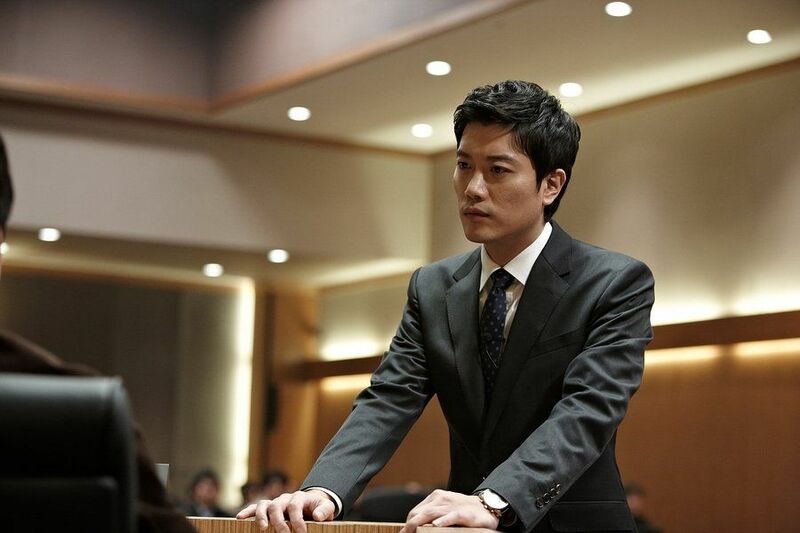 Ha Dae-cheol (Joo Sang-wook) appears like a self-serving prosecutor who just wants to get big. In fact, Dae-cheol's true motivation is gaining power to punish the wicked. By night, he wears a mask and hunts those the law will not. Yoo Min-hee (Kim Seon-ah) is a detective who has a long-standing friendship with Dae-cheol, but clashes with his seemingly selfish character. When both get entangled in a case they are also personally involved with, they meet as cop and vigilante. Full Article: [HanCinema's Drama Review] "Masked Prosecutor". Breakups are not exactly a fun time for most people, yet they become the topic of romantic comedy very frequently in fiction. This approach in a rom-com context might not be so frequent in Korean drama, but there have been works which went there, such as 'Sly and Single Again' and 'Emergency Couple'. TvN's 'Ex-Girlfriends' Club' handles the consequences of breakups in the present. The approach has potential, but this particular series, while entertaining, does not make the best of it. Bang Myeong-soo (Byeon Yo-han) is a webtoon artist who uses his own breakup stories for his latest romantic work. Kim Soo-jin (Song Ji-hyo) is a struggling film producer who has a past with Myeong-soo and who needs to make a movie based on his work in order to stay in business. When they find out, the ex-girlfriends mentioned in it decide to take matters into their own hands and stick suffocatingly close to the production. Full Article: [HanCinema's Drama Review] "Ex-Girlfriends' Club". The Korean drama industry is at a time where productions desperately try to mix every element imaginable in order to cover as many needs as possible. With ratings having severely declined over the past few years, many shows end up a mix of genres, tone and ideas. Occasionally that works, but some just become convoluted beyond repair. 'Yong Pal' might be in danger of this, but its premise does have potential. Kim Tae-hyeon (Joo Won) is a skilled surgeon who finds himself working as an underground doctor in order to repay his debt and help his sister, who needs kidney dialysis due to her condition. He takes cases of people who cannot go to hospitals or registered doctors and asks no questions about their activities. Han Yeo-jin (KIm Tae-hee) is a conglomerate heiress who is being kept in a coma by her brother, who wants her position as a successor. Her story is about her betrayal and revenge. Full Article: [HanCinema's Drama Preview] "Yong Pal". 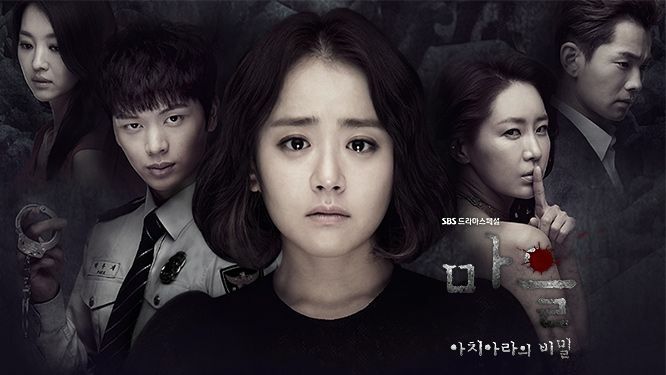 Politics in Korean drama can be a tricky subject, as ratings for KBS2's 'Assembly' have shown. Perhaps catching audiences at a bad time for intrigue and government drama, the series has not been doing well in the numbers. For international fans, this is only important if changes are made due to it. What is most important, however, is whether the series is actually good and consistent in what it presents itself as. 'Assembly' is both. Some dramas use politics as a frame for romances and revenge stories, but this one makes it an integral part of its identity. This means that, while there is engaging character-driven drama, the show is heavily political. Writer Jeong Hyeon-min has personal experience in politics, so viewers can expect a thorough approach. For viewers who do not have an interest in it, it can be hard to follow at times. However, its human element is rewarding. Full Article: [HanCinema's Drama First Look] "Assembly"
There is nothing quite like a romantic fantasy drama for the summer and MBC seems to have taken its intended type of show quite seriously with 'Scholar Who Walks the Night'. It offers vampires, doppelgangers, damsels and rescues, romance and mystery, and of course the quite important beautiful men. None of those elements will work without an engaging plot, however, so let us see how the drama is faring with that part so far. In case it was not clear already, the series is not for those looking for revenge stories or political intrigue. It is arguably not even for those who are more into the fantasy part and the topic of vampirism or mystery. This is a series where the male lead carries the female lead through a forest and a random rain of flower petals starts descending upon them. This is pure fantasy romance, along with all the corniness that characterizes it. Full Article: [HanCinema's Drama First Look] "Scholar Who Walks the Night". In a lot of ways, cable television has brought more daring concepts to Korean drama. What was once an age where any non-virginal female character was an antagonist or flawed existence has given way to even leading women who do not remain stuck in perpetual wish fulfillment for those in love with gender stereotypes. 'Oh My Ghostess' is yet another tvN series which tackles the s-word and it also cast stars who are talented and loved by audiences to do so. One thing to start off with, which is also a small spoiler warning on the potential future of this series, is that this is not pure romantic comedy. Like with many current shows which still brand themselves as rom-coms, there are darker things happening here, which will likely play a big role. It is perhaps to be expected, given one female lead is a ghost, but this element alone does not necessitate the sinister nature of the potential upcoming twist. Full Article: [HanCinema's Drama First Look] "Oh My Ghostess". Different is not always good, but its existence always is. For a largely limited medium such as Korean drama, shows which step outside of the norm in some way are a push towards programming which covers not just one group's preferences, but those of many. 'Midnight Diner' is a unique little show which has done poorly in the ratings, but might just offer the few who watch it a much needed breather and some comfort. Regular dramas can be relaxing in the sense that they offer stress relief by creating overly dramatic and attention-grabbing situations for viewers. This series is not quite like that. Rather than offering exciting drama and conflict, grand romances or revenge stories, it simply presents pieces of everyday life and everyday struggles, uses delicious meals to frame them and gives them a hopeful conclusion. This is all about comfort. Comfort food, comfort stories, comfort atmosphere and coziness. 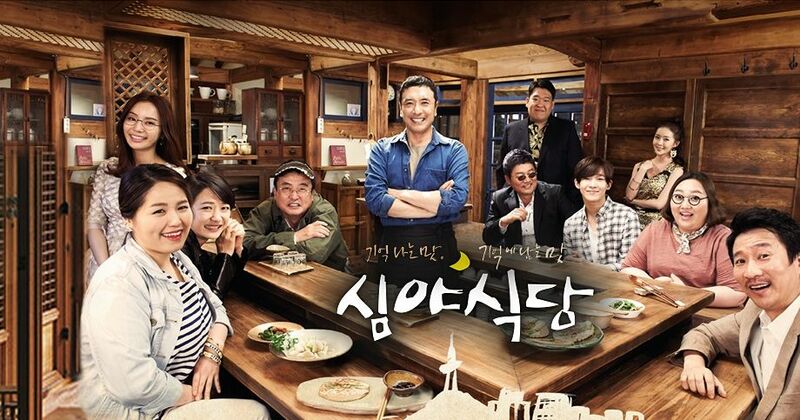 Full Article: [HanCinema's Drama First Look] "Midnight Diner". After romantic melodrama 'My Love Eun-dong', jTBC has something quite different coming up. 'Last' is not looking like the kind of show which drama audiences are used to, but its cast, approach and the fact that it is based on a popular webtoon might deliver something substantial or at least entertaining. On the other hand, it might be shallow and messy, but one can hope. 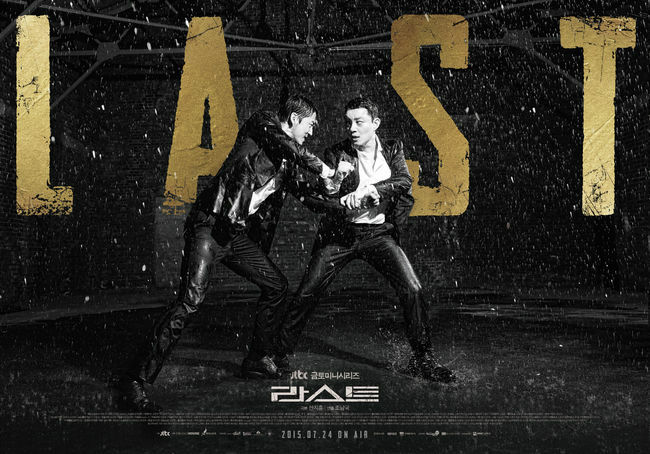 'Last' is an action noir drama about the pecking order of Seoul's underground. Jang Tae-ho (Yoon Kye-sang) becomes homeless overnight, after a failed stock project. He discovers that Seoul's underground is run by a man called Kwak Heung-sam (Lee Beom-soo), who profits at the expense of the poor. Tae-ho begins rising through the ranks and fights to survive. Full Article: [HanCinema's Drama Preview] "Last". Dramaland is no stranger to attempts at new concepts. Sadly, it is also not a stranger to abandoning them before they have the chance to flourish. 'Assembly' is a type of series which has been done before, but it comes at a time when the industry is desperate to sell, not to create good content. It also marks the drama debut of award-winning movie actor Jeong Jae-yeong, raising the bar and therefore making its potential fall more severe. Jin Sang-pil (Jeong Jae-yeong) is a humble welder who becomes elected into the national assembly. 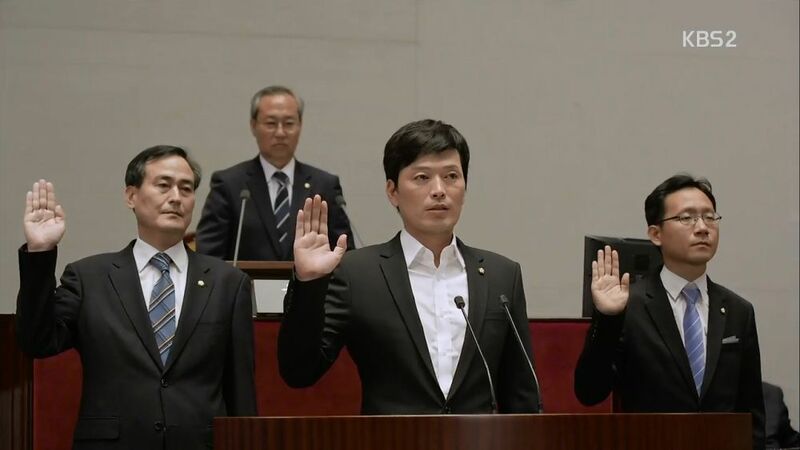 With the help of his aide, Choi In-gyeong (Song Yoon-ah), he learns how to play the political game and become worthy of his important position. 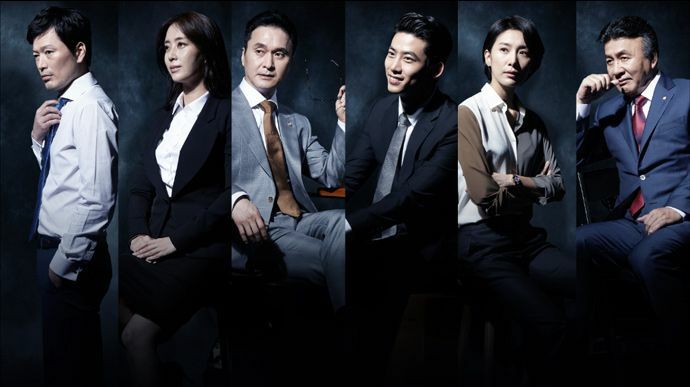 Full Article: [HanCinema's Drama Preview] "Assembly"
'Producers' was a big gamble when it was announced, combining a very popular cast with a new format, new thematic approach and an unpopular new timeslot. The worries that it would succumb to the fame of its cast and change its course were there, but that it would do so after only two episodes was something which shocked many. What started as a variety drama ended up a romantic comedy. The question is, did it end up a good one? 'Producers' is about the interpersonal and work relationships of four individuals working in variety show production. Baek Seung-chan (Kim Soo-hyeon-I), Ra Joon-mo (Cha Tae-hyeon) and Tak Ye-jin (Kong Hyo-jin) are living in the same neighborhood while the two men and Cindy (IU) end up working together. The four try to juggle work and the relationships and love lines between them while being in a close working and living environment. Full Article: [HanCinema's Drama Review] "Producers"
When it was announced that 'Heartless City' writer Yoo Seong-yeol would be writing OCN's 'My Beautiful Bride', many of its fans started building their expectations. The former series had some very unique and nuanced characters and relationships, it was dark and yet beautiful and despite its eventual issues, it was a good piece of Korean television. 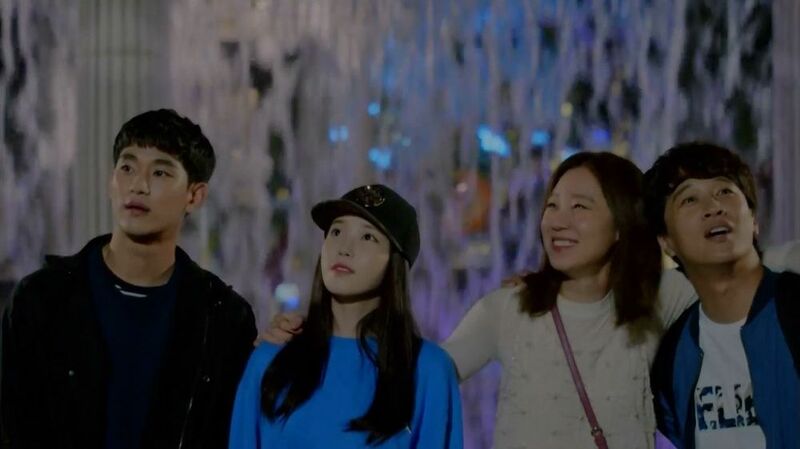 'My Beautiful Bride' is not entirely similar, but the quality is there and it has created an impressive start and reasons to anticipate its future. OCN is known for its crime dramas, which is what is has exclusively been doing for quite some time. This series is no different and also features crime, but crime is not its main selling point. At least not right now. The series focuses more on its male lead, his unusual character and his quest to find his bride. It also focuses on their relationship and how everyone's past affects their actions, determination, misunderstandings and overall mindset in the present. Full Article: [HanCinema's Drama First Look] "My Beautiful Bride". It is truly the age of manhwa, webtoon and novel adaptations, and we have another one coming. MBC's 'Scholar Who Walks the Night' is based on a manhwa of the same name and it is a fantasy period piece involving revenge, gender bending and vampires. It sounds like a lot to deal with, but the drama will hopefully do it well and bring some summer entertainment. After her father has been framed for treason, Jo Yang-seon (Lee Yoo-bi) disguises herself as a man in order to sell books. One day she meets Kim Seong-yeol (Lee Joon-ki), who happens to be vampire. Enter past loves, evil vampire antagonists and all manner of conflict will ensue. Full Article: [HanCinema's Drama Preview] "Scholar Who Walks the Night". Korean drama is not really entertainment known for its fresh stories. Even when they appear to be, a lot of them are based on other works, such as manhwa, webtoons or even works in other countries. 'Midnight Diner' is itself based on a Japanese drama called 'Shinya Shokudo' and originally a manga. However, that does not change the fact that it can bring some much needed diversity to Korean drama. The series is about a restaurant which is only open from midnight to 7am. Its owner and chef, a mysterious man called Master will cook dishes according to each customer's wishes. Along with the food, Master offers his company while the diners speak to him about what troubles them. 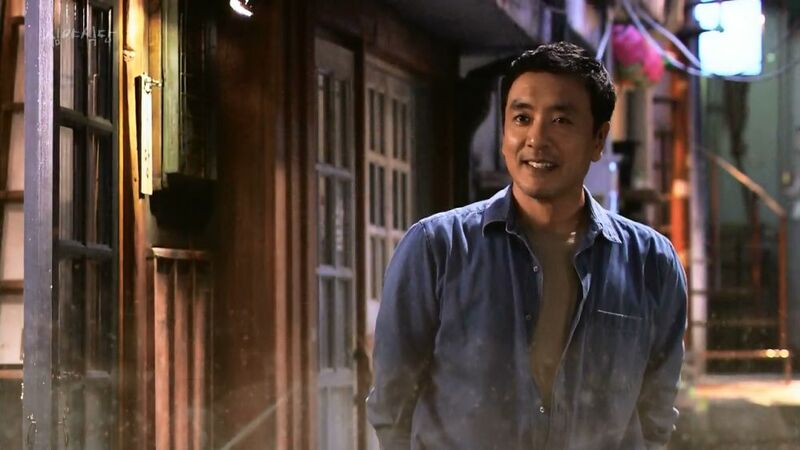 Full Article: [HanCinema's Drama Preview] "Midnight Diner". TvN's new crime drama, 'Hidden Identity' is now done with its introductory episodes and has begun going into the main plot. Expectations for this show have been high, partly on a Hallyu level due to the participation of Kim Beom, but also because the promotion for the show has looked promising for fans of the genre and the way cable television treats it. 'Hidden Identity' has a few key issues right now, but it has enough good things to do well. First things first, it is important to define the series. While the topic of a revenge plot for the male lead is present, this is far from a personal story. It is also not a character drama, for the most part. Perhaps the series will further develop its characters as time goes by, but it is a pure action and suspense thriller at the moment. This is not really a bad thing if done well, but it can harm this particular series in the future. Full Article: [HanCinema's Drama First Look] "Hidden Identity". More romance is arriving from tvN, a channel which by now has made romantic comedies its most notable genre. This time around, we have fantasy involved in the form of what sounds like quite an embarrassing ghost possession. With Park Bo-yeong making a return to dramas and a cast and premise which sound at the very least entertaining, we might be in for a fun summer rom-com. Na Bong-seon (Park Bo-yeong) is a timid woman who works as a sous chef. She can also see ghosts. 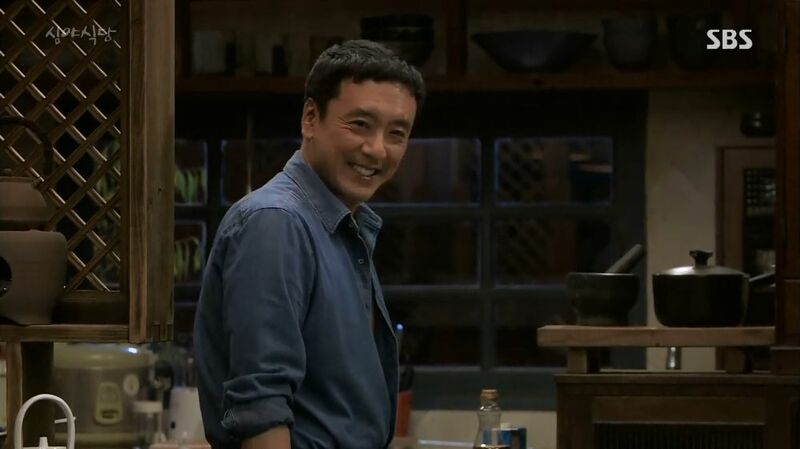 Kang Seon-woo (Jo Jeong-seok) is a confident man with a firm grip on reality and a top chef. He does not notice Bong-seon, who has a crush on him, until she becomes possessed by a ghost named Sin Soon-ae (Kim Seul-gi-I). The ghost of a woman who is very different to Bong-seon and very forward with her advances towards men. Full Article: [HanCinema's Drama Preview] "Oh My Ghostess". Actors vary a lot in their talent, skills, types of performances, popularity and even function in the industry their career develops in. There are many who might not be familiar or very familiar to foreign fans and especially drama fans, but whose work has been significant. They have helped the film and drama industries maintain a certain quality through their individual artistic efforts and choices. Park Hee-soon is such an actor. Park graduated from Seoul's Institute of the Arts and Theatre in 1988 and it was not long after when he got his first role in theater, in 1990. In 1994, he starred in a short film called '2001 Imagine' as a man who is obsessed with the idea that he is John Lennon. In the following decade, he had some roles in film that ranged from small appearances to a main cast member, until he got his first leading part alongside Kim Yoon-jin in 2007 film 'Seven Days'. Full Article: [HanCinema's Actor Spotlight] Park Hee-soon. While crime shows are in general more realistic and handle more dire topics than for example fairytale romances, they do not necessarily explore their stories more deeply. Crime fluff does exist and has its own tropes that also become clichés. OCN has delivered many good dramas, but had not gone the extra mile into meaningful stories with a theme. Until 'Missing Noir M' came along. A show which elevates its genre and becomes a milestone for the channel's drama output. Gil Soo-hyeon (Kim Kang-woo) is a former FBI agent and highly intelligent, highly educated person who has returned to South Korea. He is asked to lead a special missing persons unit which will handle only the most difficult cases and those of great importance or interest. 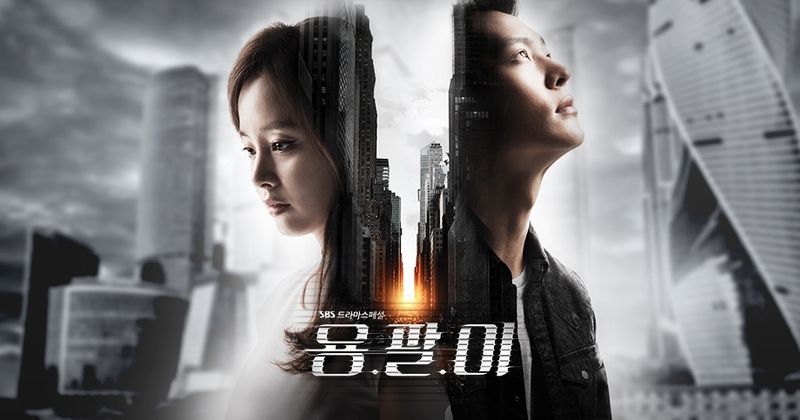 His crew consists of Oh Dae-yeong (Park Hee-soon), a regular detective trying to climb up the ranks and Jin Seo-joon (Jo Bo-ah), a computer and cybercrime expert. 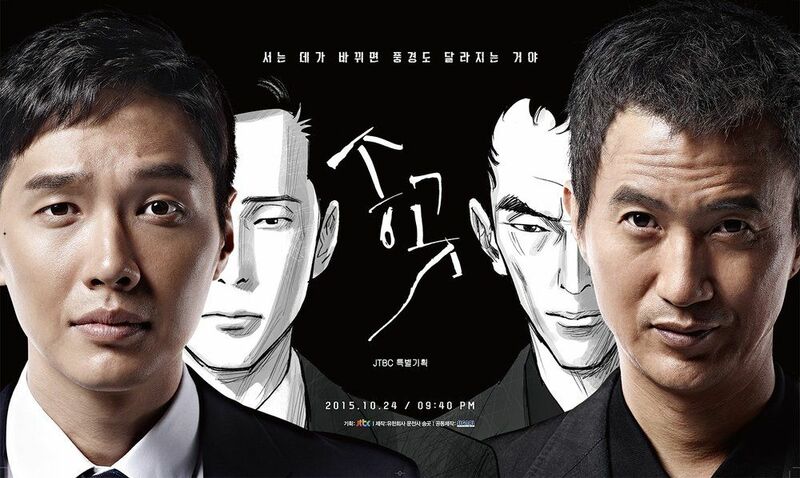 Full Article: [HanCinema's Drama Review] "Missing Noir M". TvN might be best known for its romantic comedies, but the station has offered more genres during its run. 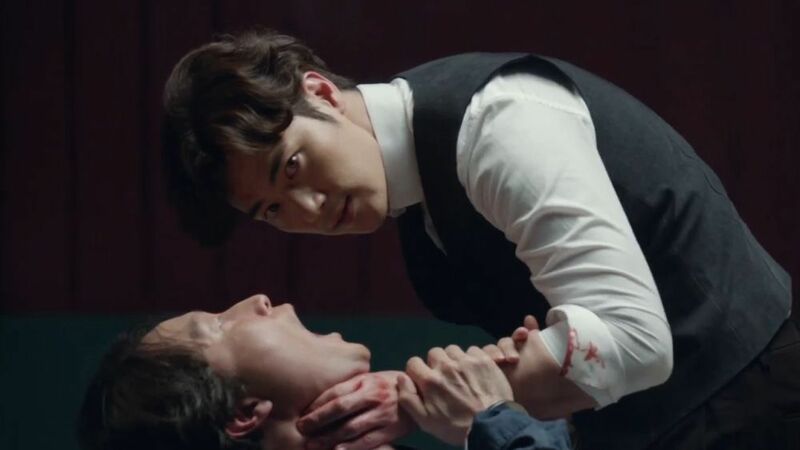 Shows like last year's 'Incomplete Life' or 'Gabdong - The Serial Killer' have been well received while attempting a new approach for the channel and Korean drama in general. The new addition to this variety comes with crime drama 'Hidden Identity', which might not sound exciting yet, but has all it needs to succeed. The series follows a newly formed group fighting crime by using all kinds of means, legal and not. Cha Geon-woo (Kim Beom) is a former SWAT and SEAL member seeking revenge over his girlfriend's death. Jang Moo-won (Park Seong-woong) is the team's composed and responsible leader, Jang Min-joo (Yoon Soy) is an expert in disguise, martial arts and psychology and Choi Tae-pyeong (Lee Won-jong) has a great network and underground connections. Full Article: [HanCinema's Drama Preview] "Hidden Identity". Doing one thing and doing it well is just fine, but with channel OCN having successfully established its own style of series for a while now, branching out into different things is inevitable. 'My Beautiful Bride' is an upcoming drama which adopts more of a regular drama programming form and focuses on a main plot, something the station's series have already attempted a few times. Done well, this might just be a milestone for the provider. Kim Do-hyeong (Kim Moo-yeol) is a man who will stop at nothing to find his fiancée. When his bride to be goes missing, Do-hyeong start diving deeper and deeper into the case, willing to even become a monster in order to find her. Cha Yoo-mi (Lee Si-yeong) is a detective who is trying to help him, while at the same time trying to keep him from losing himself in his quest for the truth. Full Article: [HanCinema's Drama Preview] "My Beautiful Bride". Entertainment is not an easy field to work in. As a woman, it is usually even harder. Young talents do not only need a breakthrough, but also to be supported during their first steps and nurtured into something great. This benefits everyone in the future. The same is true for the entertainment of South Korea. One such young talent who has shown potential and needs the opportunities to develop it is Jo Bo-ah. After studying in Sungkyunkwan University's Department of Acting for Theater, Film & TV, Jo Bo-ah made her 2011 debut through cable, and specifically jTBC. Following her start on the channel's audition program 'Made in U', Jo landed a role in daily drama 'I Live in Cheongdam-dong'. In 2012, she got her first bigger role in tvN drama 'Shut Up: Flower Boy Band'. Jo's first role in cinema was alongside Jang Hyeok in the 2014 film 'Innocent Thing'. Full Article: [HanCinema's Actor Spotlight] Jo Bo-ah. 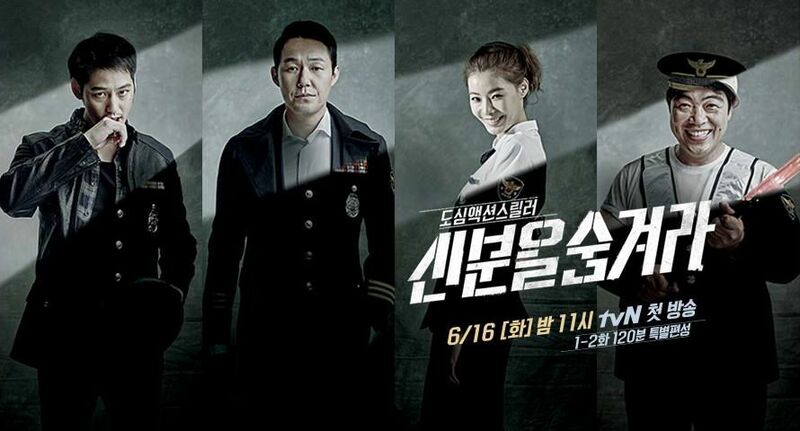 When the teasers for 'Masked Prosecutor' first came out, they raised quite a few eyebrows. There is really no way for a man in a Mexican wrestling mask to be seen as part of any kind of normalcy, even for the often unrealistic standards of Korean drama. The show teased with cool action and a little comedy, as well as hope for something fun and new. Unfortunately, it does not capitalize on its strengths or deliver on its created expectations. A few short humorous and lighter scenes aside, the first four episodes reveal a darker series than what one would expect from its promotion and the comedic element of a sparkly mask. This is essentially a revenge story with stereotypical heroes and villains and sadly not even a good one. There are some fresh elements about these characters, but their function and trajectory seem to be the same all such stories feature. This might be good for those who like the genre, but it also makes the drama's unique elements unnecessary. Full Article: [HanCinema's Drama First Look] "Masked Prosecutor". It is difficult to pinpoint what makes some failures easy to forgive in some works and unacceptable in others. How the creators treat their piece and audience plays a big part, because even flaws can be forgiven when something good is delivered by people who do not attempt to mask their weaknesses as strengths. 'The Girl Who Sees Smells' has many problems, but it is also an entertaining show which seems to have a lot of passion put into it. Choi Moo-gak (Park Yoo-chun) and Oh Cho-rim (Sin Se-kyeong) both have strange conditions. Moo-gak cannot feel pain and Cho-rim sees smells. Their abilities were caused by the same incident which ties them together. Cho-rim is the sole survivor of the unresolved Barcode murders and has lost her memory ever since. Moo-gak's sister was mistaken for Cho-rim and murdered by the killer. Now Moo-gak is a police officer who hopes to find the culprit. When he meets Cho-rim he realizes her ability can prove useful in crime solving. Full Article: [HanCinema's Drama Review] "The Girl Who Sees Smells". Love triangles, squares and other manner of romantic geometry are a staple of Korean drama. They have a set of tropes that go with them and they entertain people when done well. For a series which would under normal drama circumstances be a love pentagon, however, 'Ex-Girlfriends' Club' breaks the mold in the type of dynamics found between the characters. This is an interesting enough feature to speak of and will perhaps become the show's strength down the road. This is not a typical situation where all the women are after one man. In fact, whatever reasons each woman has for their objections to having their romantic life turned into a movie, which is the goal of the two leads, there is not much romance to speak of between any pairing. So far, this is not a typical romantic comedy and the women are far from typical drama women. The same goes for the center of it all, Bang Myeong-soo (Byeon Yo-han). Full Article: [HanCinema's Drama First Look] "Ex-Girlfriends' Club". There is great pressure to deliver when it comes to people's favorite pastime, especially from creators who have raised the bar. Hong Jeong-eun and Hong Mi-ran have been creating the same type of romantic comedy shows for years, which means viewers mostly know what to expect from them for their entertainment. 'Warm and Cozy' is an old school romantic comedy at a time when those are no longer popular, but it stays true to its nostalgic nature as light entertainment. One thing which is immediately noticeable is that the colorful choices of the writers for their premises, humor and overall style have taken a step back in this series. There are still signature habits here, but this is more of an understated approach than usual. There are no fantasy elements, which the Hongs favor a lot lately, no extravagant first meetings and everything is much more realistic, if one can even use that word for Korean drama and especially such romantic comedy series. Full Article: [HanCinema's Drama First Look] "Warm and Cozy". With promises of a brand new type of drama and a good look into the world of the variety entertainment backstage, 'Producers' has made its start and it has done so with mixed reactions. Featuring a popular cast and well known creators, including Kim Soo-hyeon-I and writer Park Ji-eun of hit series 'My Love from the Star', it has inevitably attracted attention and certain expectations. At the moment, it is not meeting those, whether this is good or bad. The first question would be, is this series something new? The answer based on the first two episodes is 'somewhat'. Drama and film have handled the subject of entertainment and its nature behind the lens before, but variety is getting the spotlight here. Additionally, the mockumentary style of filming is new as a basic feature for a drama. The show also truly focuses on the workplace for the most part, a departure from the usual focus on interpersonal relationships we see in series. Full Article: [HanCinema's Drama First Look] "Producers". Adding comedy to a story about someone's terminal illness and last attempt at leaving their own in good hands does not sound like a wise move. Life is of course complicated and joy co-exists with sadness. In fact, one gives the other more impact. It is therefore not a wise move, but also not impossible to pull off well. Sadly, 'Super Daddy Yeol' does not succeed with this approach and the rest of its issues drag its good potential down. Han Yeol (Lee Dong-geon) works as a rehabilitation coach for baseball players, something he himself was before his circumstances ended his career. Having been hurt by Cha Mi-rae (Lee Yoo-ri) leaving him, he has remained a bachelor. Mi-rae herself is raising her daughter as a single mom, but life throws her a curveball and she finds out she is dying of cancer. Mi-rae sets in motion a plan to find Yeol and start a rehabilitation attempt of making him into a good father for her daughter, Sa-rang. Full Article: [HanCinema's Drama Review] "Super Daddy Yeol". 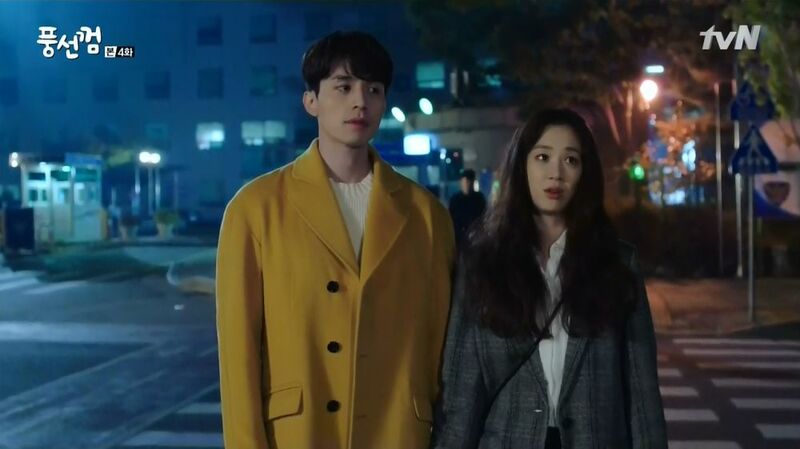 It is no secret that Korean drama favors the melodramatic over the cheerful and that stories outside a certain premise pool do not often end up well. However, hope is a strong emotion and whenever a show comes along that looks fun and upbeat, many begin the same circle of excitement and trepidation. 'Masked Prosecutor' could go very wrong in many ways, but it might also inject some much needed lightness into the medium. Ha Dae-cheol (Joo Sang-wook) is a seemingly self-centered prosecutor whose only concern is how he can advance his career. Yoo Min-hee (Kim Seon-ah) is a righteous homicide detective whose values for rules and order clash with Dae-cheol's easy-going exterior. However, Dae-cheol has a secret. At nights, he uses a mask to hide his identity and pursue criminals outside the confines of the law. Full Article: [HanCinema's Drama Preview] "Masked Prosecutor". This is a personal update and a thank you to my tweeple and other contacts I interacted with during this tough time. I've just had 2 of the worst weeks of my life. The ending is happy, so fear not and read on. Two weeks ago, we got a letter saying my mom's regular breast check up (every 2 years for every woman her age) revealed something. I had no idea what, the size, the place. It was the worst week and I was a mess. I even had a little panic attack when we got the letter. We then went for an ultrasound after a week. It was a 1.5 cm lump with clear borders, but it was not fluid, so they took a sample. My mom's age makes her a high risk person for cancer, so we were very worried. Today I found out it is benign. It is however a rare (1% of all breast lumps) and fast-growing tumor called phyllodes tumor. So even if benign and tiny (we caught it ridiculously early), it needs to go, not only because it grows fast, but because it can come back as malignant if not well removed. We will get surgery and spank that naughty thing away. Hong Jeong-eun and Hong Mi-ran are among the most beloved Korean drama writers, especially for foreign fans. Their romantic comedies offer star power and successful pairings, lively and unique characters and a writing style many love. Despite a few bumps along the way, their shows are entertaining and well received. Their latest installment is 'Warm and Cozy', a phrase which will hopefully describe viewer sentiment throughout. Baek Geon-woo (Yoo Yeon-seok) is someone who is honest and smart, but also determined when it comes to love. He moves to Jeju island and opens a restaurant there, in order to be close to the woman he is in love with. Despite Lee Jeong-joo's (Kang So-ra) tough exterior, she is a sensitive woman who needs a break after failing to find a job and breaking up with her boyfriend. She moves to Jeju and her path crosses with that of Geon-woo. Full Article: [HanCinema's Drama Preview] "Warm and Cozy".